If I had to think of a word to describe this book it would without a doubt be “cute!” And not in the small children and baby animals kind of way but the “They’re so adorable I might have to squee!” kind of way! First off, I love the fact that this is not only a boarding school novel but also a foreign exchange novel. I know when I was growing up “foreign exchange” was something people from other countries did to come here. That most certainly is not the case, and I fully support anyone and anything that encourages young Americans to experience other cultures. In a global economy like ours, it is important to understand other cultures, and even make friends with them, and the best way to do that is to experience them for yourself! But what I really love, love, loved was Anna and Étienne. They have what I would consider the perfect love story. So many novels that involve romance these days are more concerned with the problems that happen after a relationship has started so they have the leading pair fall in love fast and then stay in love through all obstacles. This book focuses on the journey to falling in love instead. It feels so much more realistic to me to have Anna and Étienne be best friends before everything else, and I just loved it! I honestly cannot find a single negative thing to say about this book no matter how I try. It really is a very fun, cute novel and I’d recommend it to everyone! I love Diana Wynne Jones. Why? Because every single book or series is different. Sure, there are some I can’t stand but that s because she’s done everything and I don’t like everything. 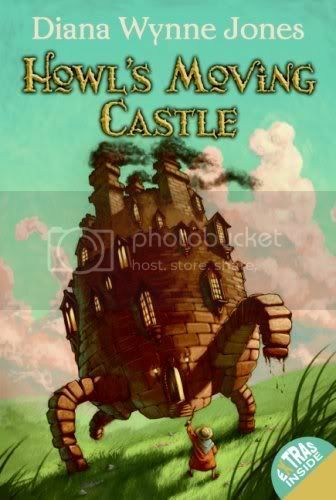 Howl’s Moving Castle is a favorite of mine second only to the Chrestomanci series, and I decided to re-read it in honor of her passing away recently. But go read them both, like yesterday, if you haven’t. SERIOUSLY! Howl: This is the first read-through that I’ve actually been able to cast Howl, he’s so difficult and quirky. But, finally, I think I have the perfect choice (at least for me). Quirky and lovable as the 11th Doctor, I could actually hear Matt Smith saying Howl’s lines in my head. Emma Thompson is a wonderful actress and I think she could really pull off both young and old versions of Sophie. Calcifer: (no picture for this one, because it’s just about the voice) Either Andy-Lee Potts, known for his roles in Primeval and Syfy’s Alice, or David Tennant, known for the title role of Doctor Who (though I prefer his scottish accent for this particular role). For those who have never seen Emilia Fox in anything, she does an AMAZING beautiful bad lady. Look her up in Merlin as Morgause. Pretty, yeah, but so evil! I actually haven’t seen Holliday Grainger in that much, but I think she’s perfect for the gorgeous younger sister Lettie. And finally, for Sophie’s youngest sister Martha, Talulah Riley, known for her roles in Pride and Prejudice and St. Trinian’s. It is only too bad that Martha wouldn’t show up as much, because Talulah is an amazing actress. I could go on (Maggie Smith as Mrs. Pentstemmon, don’t you think?) but that’s the main characters. What are your thoughts on casting? After Reynie Muldoon responds to an advertisement recruiting "gifted children looking for special opportunities," he finds himself in a world of mystery and adventure. 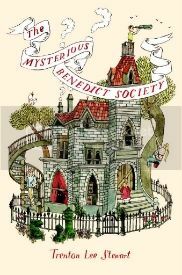 The 11-year-old orphan is one of four children to complete a series of challenging and creative tasks, and he, Kate, Constance, and Sticky become the Mysterious Benedict Society. After being trained by Mr. Benedict and his assistants, the four travel to an isolated school where children are being trained by a criminal mastermind to participate in his schemes to take over the world. The young investigators need to use their special talents and abilities in order to discover Mr. Curtain's secrets, and their only chance to defeat him is through working together. This book was a little out of my comfort zone, but I’d heard good things about it, so I decided to give it a try. 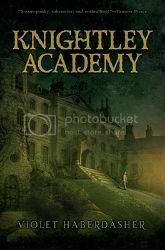 It is most definitely an MG novel, which I don’t mind so much as long as it’s well done, and I think this book was one of the best MG novels I’ve read. As an adult reader, I still had some questions, but they weren’t so pressing that they overwhelmed my enjoyment of the book. 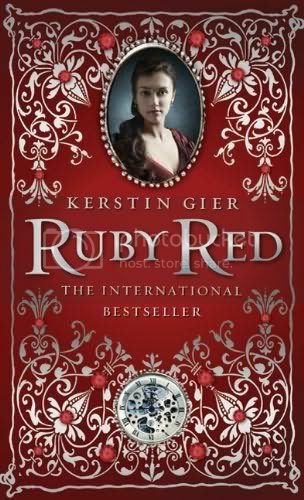 I think that’s the true test of a novel for a younger genre (either YA or MG) – can the book be enjoyed without all the answers. Part of the enjoyment, of course, was the cast of characters. I found Reynie very easy to relate to, despite our difference in age. Kate and Sticky were the perfect Ron and Hermione to Reynie’s Harry, and Constance… well Constance was a nuisance as she is supposed to be, but it makes sense once you find out how old she is. And Benedict, dear old Mr. Benedict, is so cute! He really personified that “tired old man” vibe that we get from all the great mentors; Merlin, Dumbledore and all the rest. But perhaps the best part for me, and one of the reasons I will definitely be recommending it to all ages, is the tone of the novel. One of my hugest pet peeves as a kid was being talked down to just because I was young. I wanted to be treated as an equal by adults, and I hated people, and novels, that just assumed because I was younger, I was ignorant, and unable to understand. This novel not only avoids that tone, it acknowledges the problem. 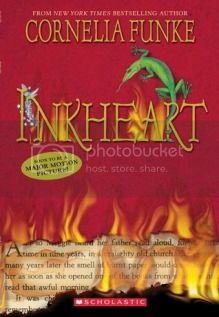 This is the novel I wanted to read in Elementary School, because I would have felt just as put-upon as Reynie when his orphanage master didn’t even let him try to get into another, better school. Granted Reynie is the extreme, but the main point is still one worth listening to: Children are nowhere near as dumb as adults often make them out to be. If you haven’t read this one yet, then I suggest you immediately put it on your TBR pile. Besides being educational, it’s pure fun! It seems like I had been looking for a copy of this book for forever. No matter where I went, it wasn’t in bookstores, the library seemed to think it didn’t exist, I just could not find it. Now that I’ve read it, that seems oddly appropriate. It’s also kind of a shame, because this book is pretty awesome! This book was already set to wow me just from the premise. Anyone who looks at my favorites list would see that I like novels where the characters and stories come to life. Add to that a real life mystery and an interesting love story and I’m in! It was so gorgeously done as well. It’s very obvious that not only did Creagh do her research, she loves the topic. I will warn you – don’t put this down in the middle. The plot is complicated and twisty, as any book about Poe would have to be, and if you don’t keep up with it as you go along, it can be really hard to get back into it. I happened to get distracted by life in the middle of this one and it took me 10 or 15 pages to remember what was going on and really get back into it. Once I did, I was quite frustrated that I had to put it down to sleep. My only question now is: How on earth does she expect us to wait until 2012 for the next one? I mean, talk about a cliff hanger! Not fair! I thought I loved The Mortal Instruments series. I was wrong. 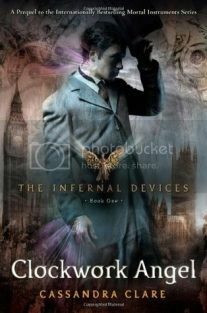 While I liked TMI, the term love should have been reserved for Clare’s newest series, The Infernal Devices. What can I say, I’ve come to love steampunk! It wasn’t the fact that this was nominally Steampunk that made me love this one though. In TMI the thing I most had to suspend disbelief for was the whole “secret society” bit. I loved it, because it was extremely well done and explained, but I think I will always be a little skeptical of a secret society in this information age. It’s almost impossible to keep something like that out of the papers and off the internet. Put the Clave in Victorian England though, and suddenly you have an extremely believable scenario (with pretty dresses too!) The Pandemonium Club could have happened then, whereas now, people would probably start questioning if they didn’t know who was leading a group they were in. I also loved the characters in this one. 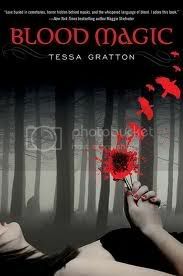 While Will felt like a repeat of Jace for most of the book, Jem, Tessa, Jessamine and Sophie were all wonderfully new. I’m not saying the repeat is a bad thing – this lifestyle does things to a person and it is perfectly believable that Jace is not the only one who ever acted the way he did. 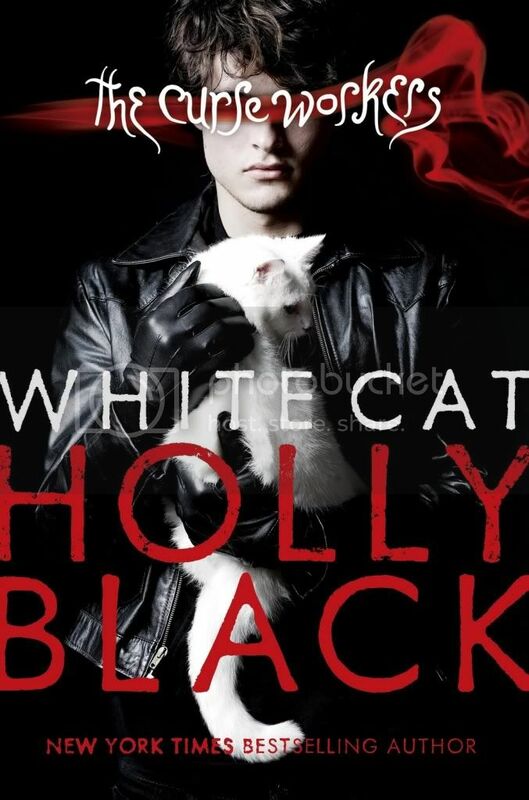 And I have to be honest – while there wasn’t any one character I valued over the others in TMI (sorry Team Jace or Team Simon or whatever you call yourselves) I’ve finally found my character to love! I absolutely loved the character of Jem and I would never get tired of him! Oh and I’ve changed my mind since my City of Glass post – Darren Criss can’t be Magnus, because he would make an AMAZING Jem and Magnus is in both! Clare has left me curious about so many things that I am anxiously awaiting Clockwork Prince perhaps even more than City of Fallen Angels! It is a gorgeous realization of her world as it might have been before, and left me wanting more!